Thank you for contacting us. 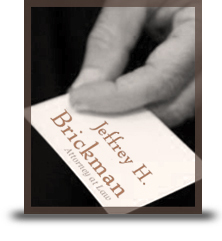 We welcome your interest in Jeffrey H. Brickman, LLC. However, we cannot represent you nor can we treat unsolicited information as confidential until we know that doing so will not create a conflict of interest. Accordingly, please DO NOT send information about any matter unless you have a written engagement letter from us stating that we represent you as a client. Please understand that the materials on this site are for informational use only and do not constitute legal advice. Sending an unsolicited e-mail through this website, and receipt of such a communication, does not create an attorney-client relationship. Information sent via e-mail is not considered confidential or privileged unless we have agreed to represent you through a signed engagement letter. By emailing this form, you confirm that you have read, understand and agree to this notice, and understand that no attorney-client relationship exists. I have read and understand the disclaimer. 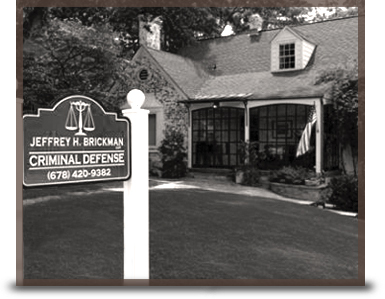 Sending the form below does not constitute legal representation or attorney-client relationship or confidentiality.